Sling TV offers so many different streaming packages that it can sometimes be confusing which one is the best one for you. 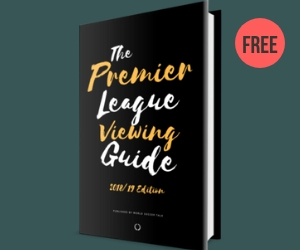 With Sling TV, you can watch the best soccer leagues from around the world without needing a cable or TV subscription. Plus you can save money by switching to Sling TV and still watch your favorite team week-in week-out. But which Sling TV package is best for you? And what are the differences between the options available? 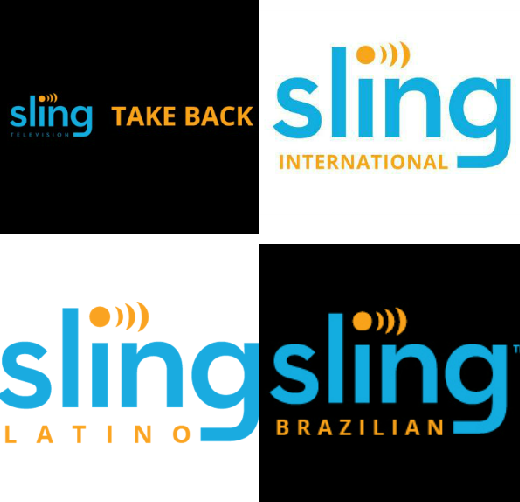 For example, did you know there’s a Sling Latino, Sling Brazilian and Sling World Sports that are available? Find out below and then sign up for a free 7-day trial to the Sling TV package of your choice. Chances are that you may not be aware of all of the different Sling TV packages. You can often add on channels to your Sling TV subscription, so check to see what add-on extra packages are available. Plus you can combine Sling Blue and Sling Orange together for $40/month. As always, if you have any questions about Sling TV, let us know in the comments section below. Is NBC Sports Ap available to Sling subscribers? Not yet but it should be coming soon. I really dont get it, why post this without mentioning PS Vue as well? 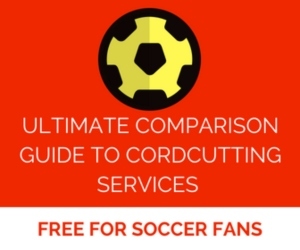 The whole purpose here is to give cord-cutters who want to watch football the best options, but only one is listed, and its arguably the lesser. If the site isnt sponsored by Sling, then all you need to do is write that you can get all of this on PS Vue as well for cheaper, and get NBC Sports App access, and now beIN Sports Connect access. Its simply a far better deal, with better picture quality, and more options. One final thing, it is noted multiple times that the site isnt sponsored by Sling, but come on, theres no way they dont get something off the mentions at least, and even if it we’re, just disclose it, no one cares if there is money being exchanged as long as its acknowledged. The article doesn’t mention Vue because the comparison has nothing to do with Vue. We have a ton of companies that feature ads on this site including Vue, Sling TV, fuboTV, AT&T and others. The problem with Vue is IP restriction. If you don’t travel, then Vue is for you. I travel a lot and sometimes go to places where I don’t have cable where I’m staying. Sling is perfect for me. And $25/month for FS1/2, NBCSN, and $5 more per month for BeIN is a pretty sick deal, better than Vue. Thats why you use the various providers apps. If youre on the go, use FSGO, Watch ESPN, NBC Sports app, or beIN Connect. Every single one is authorized with a PS Vue sub, thats jwhy its currently better than Sling. $30 is still cheaper than Vue would cost me given I’m in a major market that gets the local stations ($40). But Vue fanboys will defend it to the death. Vue fanboys? So you’re a Sling fanboy? Much like this site is. …and I should not have to have different apps simply for the “convenience” to watch remotely. What is the $10 Brazilian package? I looked on the site and all the packages are $20 and up from what I could tell. MDFootball, that was a typo. Sling Brazilian is $25/month. Thanks for bringing that to my attention. The article has now been updated. Hi just wondering if the Italian channel package on Sling tv broadcast soccer games on any of those channels? They include Rai Italia, Rai News 24 and Rai World Premium, so if any of those show Serie A games, then you should be able to watch them there.